The Windows Media Player shortcut is on your Start Menu	under Accessories and Entertainment. Windows Media Player should appear shortly. 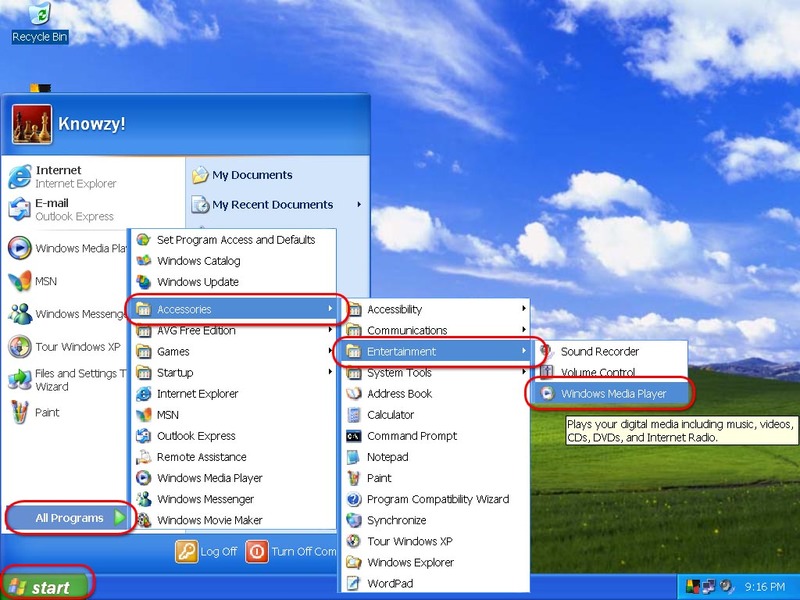 Run Windows Media	Player by opening the Start Menu - All Programs -	Accessories - Entertainment and clicking the Windows	Media Player icon. NOTE: If you see an advertisement when the program	starts, you probably need	to upgrade to the latest version of Windows Media	Player.